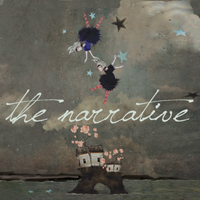 The Narrative released their highly anticipated debut self-titled album today via iTunes. The band will be hosting their record release party this Thursday, July 29th at theGramercy Theatre in NYC. The group’s latest effort maintains a diversity that most bands struggle to achieve while remaining harmonious with the sound they are known and loved for. With soothing male/female dueling vocals and beautiful arrangements, this album is poised to be a 2010 favorite. The Narrative are streaming a new song titled “Winter’s Coming” off their forthcoming debut album, exclusively on AbsolutePunk.net. “Winter’s Coming” showcases the musicality that sets The Narrative apart, with a sing-able upbeat chorus and a beautifully climactic ending. Click here to listen to the track. The Narrative will be releasing their self-titled debut on July 27th via iTunes, Amazon.com, Rhapsody and various other digital providers as well as physically through their website. The groups latest effort maintains a diversity that most bands struggle to achieve while remaining harmonious with the sound they are known and loved for. With soothing male/female dueling vocals and beautiful arrangements, this album is poised to be a 2010 favorite. The Narrative will release their highly anticipated debut self-titled album on July 27th. The group’s latest effort maintains a diversity that most bands struggle to achieve while remaining harmonious with the sound. The New York based indie pop rock group is a perfect example of how sometimes things just seem to fall into place. Jesse Gabriel (guitar/vocals) met Suzie Zeldin (keyboard/vocals) for a slice of mediocre New York pizza after she responded to his 3 page long Craigslist ad. They soon learned that not only did they go to high school together; they also shared identical musical interests. The two spent much of the next year heading from their nine-to-fives to Suzie’s cramped Upper East Side apartment to craft their first tunes. When it came time to record an album, Jesse and Suzie were introduced to Charles Seich (drums) by producer Bryan Russell.